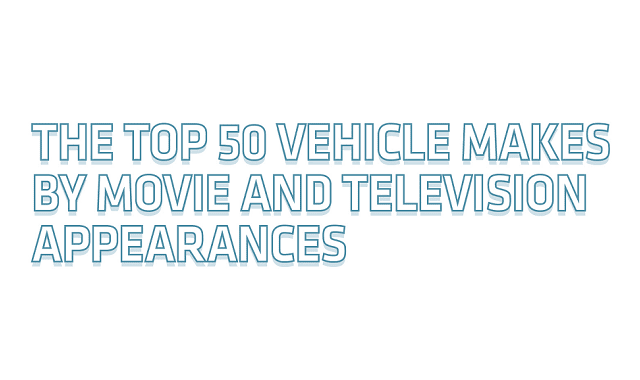 Top 50 Vehicle Makes By Movie And Television Appearances #Infographic ~ Visualistan '+g+"
Think of the most iconic films of all time. For many of them, you might be able to name the characters and even quote some of the popular lines, but can you name the cars that were featured in them? This often overlooked aspect of film-making is just as important as any other prop or set piece, especially if it’s our favorite characters that are behind the wheel. 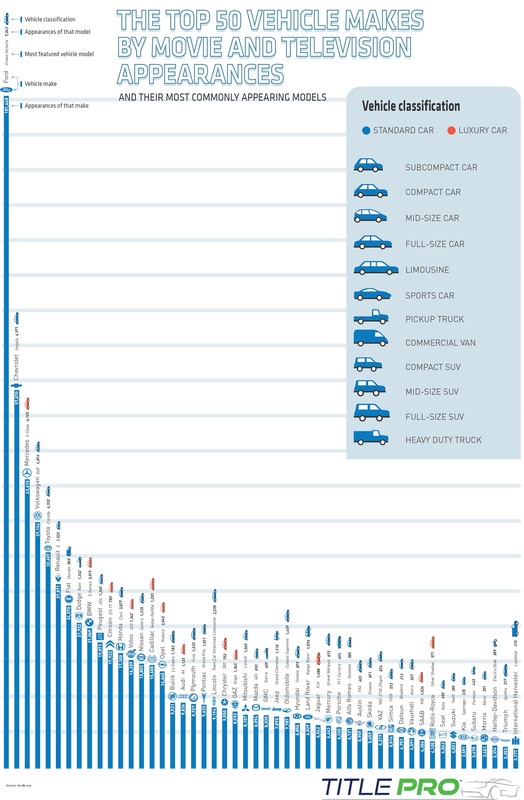 This graph showcases the top 50 car brands by the total number of individual TV and movie appearances and their most commonly appearing models.